On Tuesday 30 October 2018, at St Paul’s Cathedral (London), Professor Helen Bond (University of Edinburgh) and Professor Joan Taylor (King’s College, London) discussed the roles of women in early Christianity, beginning with Jesus’s female disciples: “My Soul Glorifies the Lord: Jesus’ female disciples”. The following is a WTCLive interview with N.T Wright who is described as a ‘legendary New Testament scholar’ (cf. Matt. 27.52-53). N.T. Wright discusses his recent 1700pg tome Paul and the Faithfulness of God (Fortress Press/SPCK, 2013) and his more recent book The Paul Debate (Baylor/SPCK, 2015) in which he responds to critiques of his big book on Paul. Wright also discusses the implications of his work on Paul for the Church and marketplace. 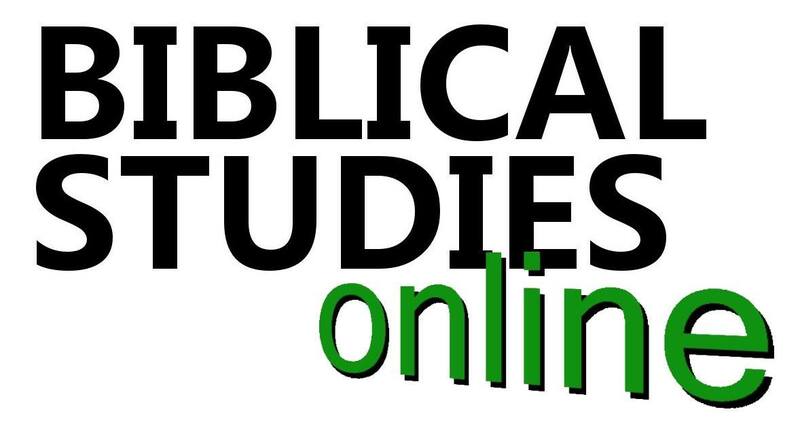 The latest Biblical Studies Online podcast (BSO06) is now available on iTunes for download here or, for non-iTunes users, here. It is an interview with Ward Blanton, Reader in Biblical Cultures and European Thought, University of Kent. Blanton talks about Paul, politics, philosophy, Jewishness, revolutionary thinking, Pauline studies, and his book, A Materialism for the Masses: St Paul and the Philosophy of Undying Life (Columbia University Press, 2014). Dr Chris Tilling (St Mellitus College) and Professor Douglas Campbell (Duke University Divinity School) discuss “apocalyptic readings of Paul, prison ministry, and their books”. After a bit of idle chit-chat, they get going at 4:30 or so. Douglas Campbell is Professor of New Testament at Duke University Divinity School. His main research interests comprise the life and thought (i.e. theology and its development) of Paul with particular reference to soteriological models rooted in apocalyptic as against justification or salvation-history. His publications include Framing Paul: An Epistolary Biography (2014), and he edited The Call to Serve: Biblical and Theological Perspectives on Ministry in Honour of Bishop Penny Jamieson. Campbell has also written The Quest for Paul’s Gospel: A Suggested Strategy (2005), and The Deliverance of God: An Apocalyptic Rereading of Justification in Paul (2009). In a lecture delivered at Harvard Divinity School on November 12, 2015, Professor J. Albert Harrill (The Ohio State University) discusses the evidence and sources which might be employed to argue that Paul lived in Rome in the 60s CE. In October 9-17, 2008, in order to celebrate the Year of Saint Paul, the Orthodox Church organized a Pauline Symposium, inviting various academic speakers to participate. Videos of some of the presentations are available on the GreekOrthodoxChurch YouTube channel. Most of the papers were published in the volume In the Footsteps of St. Paul: An Academic Symposium (Holy Cross Orthodox Press, 2011). The paper by Prof. Turid Karlsen Seim on “Race and Gender in St. Paul” was not included. The question about what is the relationship between church and state is one that has repeatedly been raised throughout Christian history. Romans 13 is a key passage in this debate and is often quoted to endorse a pacific and accepting attitude by the church towards state authority and rule. Is Paul, a frequent and hostile critic of the Roman Empire who spends much of the time contrasting it unfavourably with the new empire being established through Jesus Christ in the church, really saying that either the church should accept the dictates and of the state? [Lloyd] Pietersen’s paper challenges this reading…Pietersen presents a concise and extremely helpful introduction to the historical context of anarchism before exploring in greater detail the Christian anarchist tradition. He offers an anarchist perspective of the depiction of monarchy within the Hebrew Bible before introducing Tolstoy’s reading of the Sermon on the Mount (Matt 7:1-5) and an examination of Jesus as anarchist archetype. In the light of this, Pietersen then presents a very different reading of Romans 13 that considers its historical and literary contexts and in which Paul scathingly attacks the failures and injustices of Roman Imperialism. Presentation notes are available here. The Creation, Conflict, and Cosmos Conference was held at Princeton Theological Seminary on May 2-5, 2012. The papers were later developed for publication in Apocalyptic Paul: Cosmos and Anthropos in Romans 5-8, ed. Beverly Roberts Gaventa (Baylor University Press, 2013). The Conference includes a paper from the late J. Louis Martyn (October 11, 1925 – June 4, 2015). All of the conference papers are available in mp3 audio format on the PTS site. Professor Daniel Boyarin (University of California, Berkeley) delivered a lecture at Pontificia Università Gregoriana on June 25, 2014, which is available on YouTube. Boyarin’s talk (beginning at 10:50) addresses nomos in Paul by way of a comparison with Josephus, discussing also the (in)applicability of the category of “Judaism”. It is followed by a panel discussion with Prof. Philipp G. Renczes (Cardinal Bea Center for Judaic Studies), Prof. Gabriele Boccaccini (University of Michigan), Prof. Romano Penna (Pontifical Lateran University) and Dr. Piero Stefani (BIBLIA and Pontifical Gregorian University). The talk was delivered in association with the Enoch Seminar. Professor Stanley Porter (McMaster Divinity College) revisits the theory that Paul had met and seen Jesus while the latter was still alive. He presents the theory in four lectures, delivered in the 2014 H. Orton Wiley Lecture Series (Point Loma Nazarene University): “DID PAUL MEET JESUS BEFORE THE DAMASCUS ROAD? The Evidence and the Implications”. Professor Beverly Gaventa delivers the 2014 Lund Lectures at North Park Theological Seminary, on September 25, 2014: “Sinners, Saints, and Singers in Paul’s Letter to the Romans”, on salvation in Romans. 1. What Part of the Word ‘All’ Don’t We Understand? Professor Larry Hurtado delivers the 2014 opening lecture at the School of Divinity, University of Edinburgh. The lecture begins at 6:30. Hurtado contends that Paul’s messianism comprises “a particular and distinctive variant form” of the pluriform Jewish messianism of his time. A similar version of the paper, “Paul’s Messianic Christology”, was delivered at New Orleans Baptist (NOB) Theological Seminary, on February 11, 2016. James Crossley talks about a major recent trend in New Testament scholarship which casts Jesus, the Gospels and Paul as anti-imperial thinkers and suggests that while there may be some truth in this description, the imperialism in the New Testament should not be underestimated. The iTunes Content Rating has been designated ‘clean’ so the podcast can be enjoyed by all the family. John Barclay speaks on the anthropology of the term gift for understanding the nature of grace or charis in the New Testament and especially in Paul’s letters. This lecture attempts three tasks: first, to use the anthropology of gift and historical studies of gift-giving in the Graeco-Roman world (including ancient Judaism) to raise appropriate questions about Pauline and early Christian discourses concerning gift; second, to outline ways in which gift-giving can be and has been ‘perfected’, that is, drawn out to an absolute or extreme form for the sake of definition or polemical advantage; and third, on this basis, to outline some of the key configurations of grace in the history of reception of Paul, and thus to clarify central issues currently mired in conceptual confusion. The lecture begins at 6:10 in the video. John Barclay is Lightfoot Professor of Divinity at Durham University. Mark Goodacre, Professor of New Testament at Duke University, provides a regular podcast on New Testament scholarship called NT Pod. The major topics of these podcasts are the Gospels and Jesus scholarship, although Goodacre also addresses topics in Pauline scholarship, the apocryphal gospels, and other aspects of the New Testament. While the podcasts are short and succinct – usually 10 to 15 minutes – they provide clear, accessible, up-to-date, and authoritative overviews of many topics in New Testament scholarship.